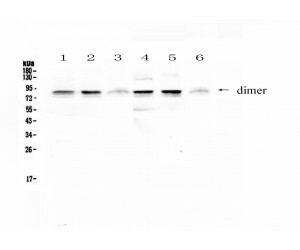 FPRL1 antibody LS-C662943 is an unconjugated rabbit polyclonal antibody to human FPRL1 (FPR2). Validated for IHC and WB. 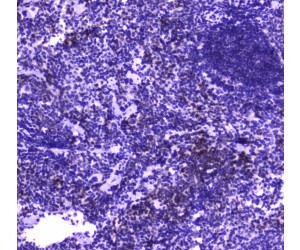 FPR2 / FPRL1 antibody was raised against a synthetic peptide corresponding to a sequence of human FPRL1 (TIPNGDTYCTFNFASWGGTPEERLKVAITMLTARGIIR). 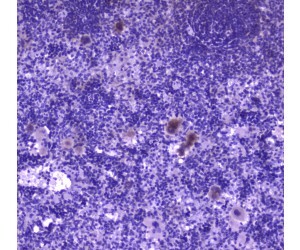 Expressed abundantly in the lung and neutrophils. Also found in the spleen and testis. At -20°C for 1 year. After reconstitution, at 4°C for 1 month. 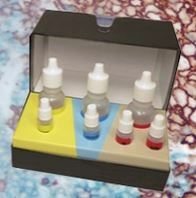 It can also be aliquotted and stored frozen at -20°C for a longer time.Avoid freeze-thaw cycles.